Plumpish Beauty: Monday Blues Blog Hop! Hello, ladies! 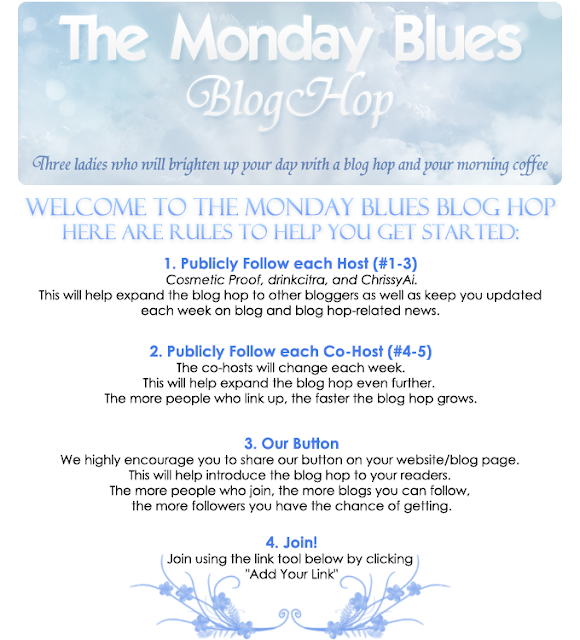 Thank you for visiting my blog as I co-host The Monday Blues Blog Hop! Read the rules below, add yourself and discover new blogs to follow! Add yourself to the list, so others can check out your blog! :) Grab the button and share it on your blog! Thank you for following, Ellie! Thank you so much for following! I'm sorry I missed your blog hop! Julep Maven - November Edition!